Have you got fed up with the city traffic? Do you spend a lot of time in traffic jams on busy days? If yes, then you are not alone. Millions of people around the world have to waste their precious time because of getting stuck in a traffic jam. Although, some may say that there is no way out of this problem there is really a way out. The future of computing has already entered into the world. 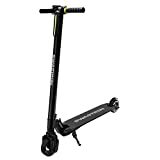 In recent years, a soaring hike is seen in the sale of foldable electric scooters. These are one of the best options to save your precious time and contribute to reducing the menace of pollution. If you’re thinking to get one then it’s really a good idea. But, before you make your decision and invest your hard earned money to buy an electric scooter we think that you should know some important facts about it. 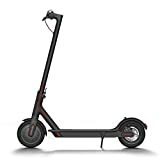 We have gone through a lot of research to bring this list of the best foldable electric scooter in 2019. 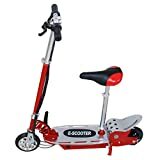 You’ll also find a review and buyer’s guide to find the best electric scooter for you. Embark on the journey with a futuristic view with the best electric scooter you can ever get in 2019. End those boring commutes and ease yourself with the joy packed in a lightweight electric scooter. This ultra-portable electric scooter is powered by 250W brushless hub motor and 6.6Ah battery that is equipped to run the scooter for 15 miles. It takes only 3.25 hours of charging to power up the electric scooter to the full. For your everyday commute, this electric scooter is the best option that can fold easily. To the surprise of many, this scooter can run 500 miles using just $1 of electricity. Being lightweight and easy to store this electric scooter is ideal for everyday commute. With a view of safety, this electric scooter includes a headlight, rear reflector and pedestrian bell. 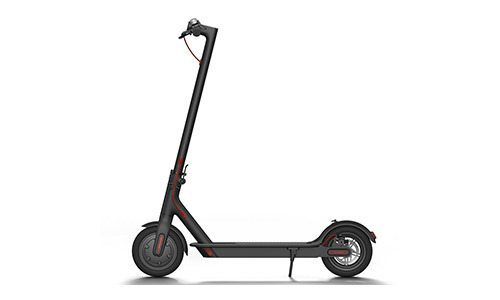 This electric scooter boasts the patented folding mechanism that lets you store it easily making the first choice for alternative public transport. 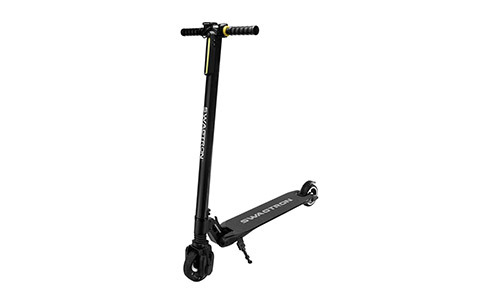 Weighing just 20lbs, this super lightweight scooter is made of high-quality Carbon fibre which is significantly lighter than other materials and but is sturdy at the same time. Powered by a high-capacity 24V Li-Ion battery this scooter can be driven for a long route without any worries. You can actually feel the power of the high-torque motor that features a top speed of 10mph and a 250W power. It takes just 2 to 3 hours to fully charge the battery and you’re all set to take a hassle-free ride. Its ultra-slim deck is strong enough to transport a maximum load of 240lbs and its 0.3inch thin. This helps you to keep the scooter packed in your office. To show the important information to the rider the sleek LCD display comes into play. It shows important readings like the speed, battery life, odometer and time. With a view of safety, this electric scooter is equipped with a front light that notifies the passerby of your presence. Comfortable, heavy-duty and easy to carry are some of the salient features of this electric scooter. 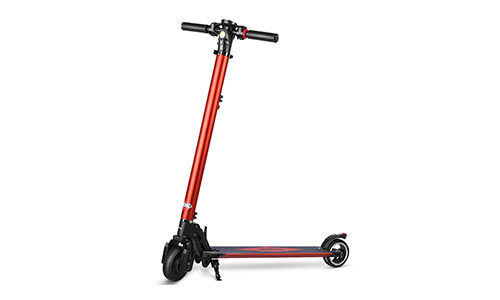 It features a full aluminium alloy frame that is sturdy enough to bear your weight while giving you the comfort of riding the scooter at a reasonable speed. 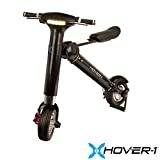 Due to the ergonomic design and a 250W powerful motor you can ride this scooter at a top-speed of 23km/hr. Powered by a 4.4Ah Li-Ion battery that once fully charged ensures that you ride the scooter continuously for 100 minutes. This electric scooter is designed to fold easily, this means no wastage of time to assemble and dismantle. It requires very less space to keep this scooter and hence you can take it to your office every day. A five-level speed, LCD display and front LED light is an added advantage. No need to worry about the service and quality, as this scooter is protected by a one year manufacturer’s warranty. A perfect option for your daily commute, this electric scooter is an excellent example of ultimate craftsmanship. 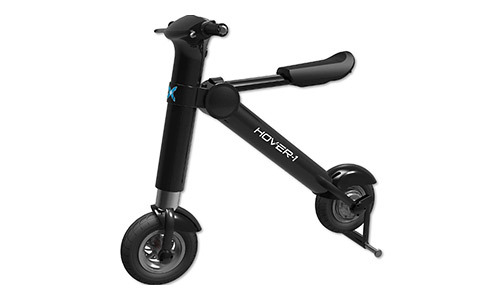 Featuring a spring-loaded kickstand, dual electric brakes, and extra wide 10-inch pneumatic tyres for better balance and stability the Hover-1 electric bike is fantastic. A beautiful and intelligent LCD display at the front provides you with the accurate reading with the digital speedometer, odometer and trip meter for better ride management. In a short time span of just 2.5 to 3 hours, this bike gets fully charged to be used continuously for 1 hour and 20 minutes. You can run this bike at an amazing top speed of 20mph this means less time to reach your workplace. With all these features, this bike can sustain a maximum load of 285lbs. It does not require you to do any kind of assembly. Just saddle on the comfortable cushioned seat and enjoy your ride. This is one of the most lightweight electric scooters you can ever find in the market. Crafted from a high-quality carbon fibre this scooter is very sturdy and extremely lightweight as its total weight is just 14lbs. Great for urban commuters, being compact in size lets you store this scooter anywhere. The stylish front-facing lights while giving an elegant look to the scooter provide safety to the rider lightning up the path in the night. This also protects notifies other vehicles coming from the other direction. A sleek and slim LCD display notifies important information like speed, battery life, odometer and time to the rider. You can ride this scooter at a top speed of 23 km/hr which means that you can reach your destination without wasting your time. The 5-inch hub motor is specially designed with a special technology for a smooth and silent ride. Charge this bike for once and you can ride it continuously for 20 miles. One of the best adult folding scooters, the Bibene electric scooter is very lightweight and compact to store. This easy-to-fold is easy to fold and great for public transport. With an amazing weight of 20lbs, this scooter is made of high-quality carbon fibre that is lightweight and sturdy. The battery is stored in the front steering tube for better heat dissipation and safety. With all these benefits it requires only 2 to 3 hours to charge this scooter to the full. You’ll surely enjoy the excellent quality of the 250W motor that can drive the scooter at a top speed of 10mph. Even though of its lightweight structure and high-capacity, this scooter can bear a weight of up to 240lbs. An excellent electric scooter in our range, you can ride this scooter on three gears. To the optimum level, this scooter can be driven at a maximum speed of 26km/hr. In a 4 hour charging time, this bike gets fully equipped to be driven for 6-12km distance. Featuring an excellent braking system, the scooter will gradually reduce the speed when you apply the brake. It has a clear LED display screen to show all the important readings. A bright front lamp at the front can glow out your way up to 78.7inch. 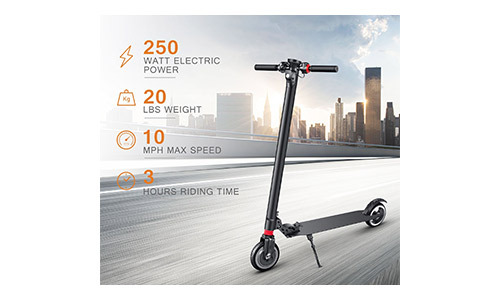 With all these features this electric scooter can bear a weight of up to 198.4lbs. 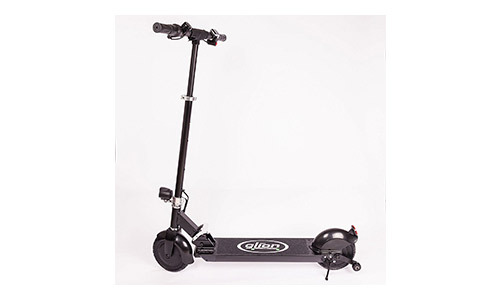 Featuring the latest technology, this electric scooter is made with high quality material and exhibit an impressive workmanship. 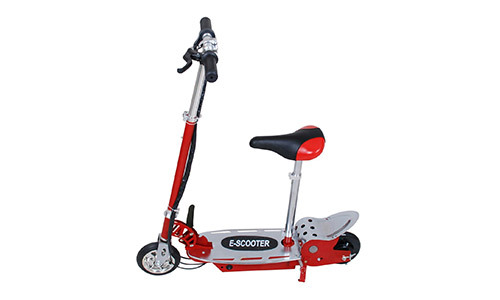 Having adjustable handlebar that can be adjusted according to your kid’s height this electric scooter can be a fantastic gift. With a kid-sized deck and frame, this electric scooter is designed for ages 6-14. This electric scooter can reach a maximum speed of 12-14mph. 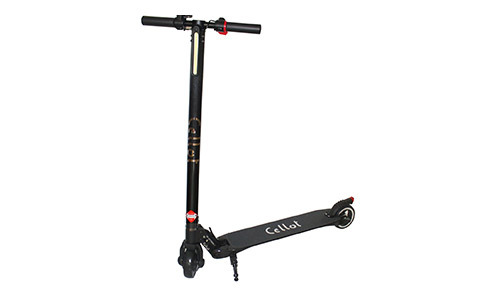 Even though, the scooter is made of a lightweight material it can hold a maximum load capacity of 177lbs. For charging this electric scooter for 6-8 hours you can drive it for up to 60 minutes continuously. 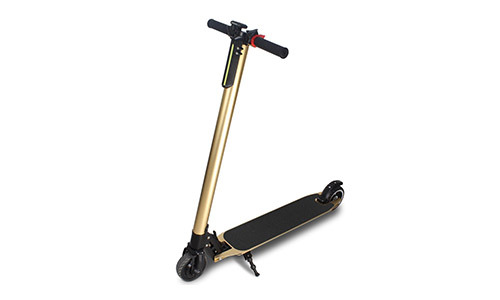 This scooter bears the mark of quality with a CE/ROHS certification. Swagtron presents a pro-adult electric bike that has an extended range of 5-18 miles. In just a couple of clicks, this electric scooter is very easy to open and fold. Not just this, it’s very easy to store at your office or in your home. Powered by a 250W heavy-duty motor this electric scooter can reach a top speed of 16mph. Be happy to buy this scooter as you will save the environment with the non-emission technology. Made of carbon fibre this electric scooter is very lightweight and sturdy and it can support a weight up to 250lbs. Shock absorbers at the front wheel provide the needed suspension required for a smooth and comfortable ride. Crafted from an aerospace-grade aluminium frame, this electric scooter weighs just 26.9lbs. This material has a high-density strength and low density that provides added durability and portability. By pairing this scooter to your smartphone with Bluetooth, you can get all the details about your current speed, power status, real-time riding statistics. It features an 18.6 miles long-range battery life that notifies you immediately of any issues in the scooter. Promoting regenerative energy this scooter converts the kinetic energy during your ride into electric energy and saves it in the scooter. This ensures improved battery life and emergency braking. Having an acceleration controlled handle lets you ride the scooter at the perfect speed. When buying an electric scooter the first thing you should look is its frame material. This is because you would be folding and opening the scooter multiple times during a day and for that, the scooter needs to be made of lightweight material. But on the other hand, it should also be sturdy and durable. You should prefer a frame made of carbon fibre because this material is lightweight and heavy-duty alike. You should consider this criterion when you are buying an electric scooter for a serious purpose like an everyday commute to your work. Normally, it would be good if you prefer a scooter with a riding range of about 15miles once charged. Going through the specifications you should prefer a brushless motor of around 250W. This would be fine when you will be using your scooter every day. Another factor that is related to the motor is the load capacity. The power of your motor decides the maximum load capacity of the scooter and that in turn affects its performance. Riding an electric scooter is an amazing experience everyone should have on their weekends. But if you’re seriously considering buying an electric scooter for a commute to your college or workplace then you need to put more importance on a product that delivers ultimate quality. This will ensure that you enjoy a hassle-free ride for years to come.